This post is in partnership with Bed Bath & Beyond. Wedding planning is officially in full swing here, and the countdown is on for May! I can hardly believe it’s just a few months away and all of the things that we still have left to do! 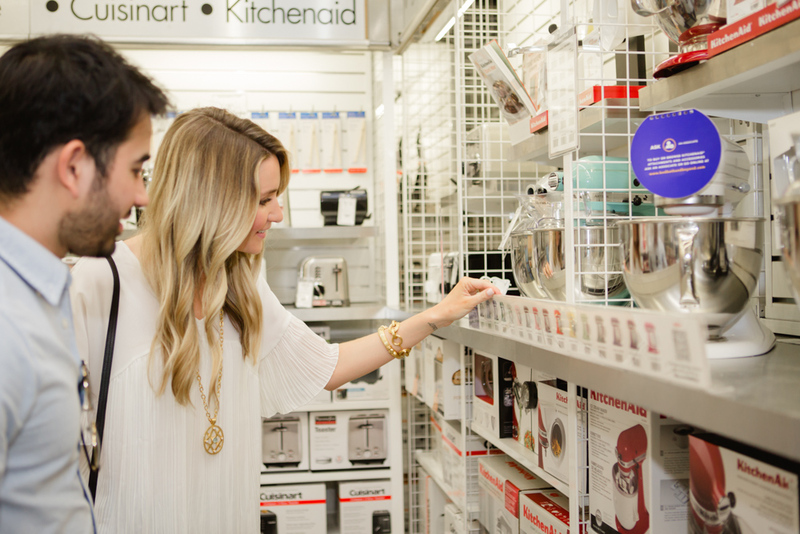 One thing that I was so excited to do was to start our wedding and gift registry. We were kind of clueless when we began to think about registering. Where to do it, what to get, when to start, etc., when we realized how many options Bed Bath & Beyond has it was an easy choice! It’s no wonder why it’s the #1 wedding and gift registry destination in the nation! Why Bed Bath & Beyond? Before we even began, we loved that we were able to schedule our in-store appointment online! No waiting around in store or playing phone tag. 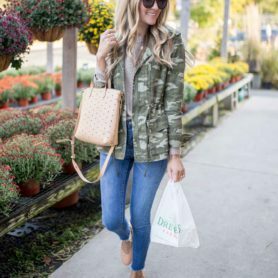 We were so surprised when we started searching the site and store because we were able to find EVERYTHING we needed. 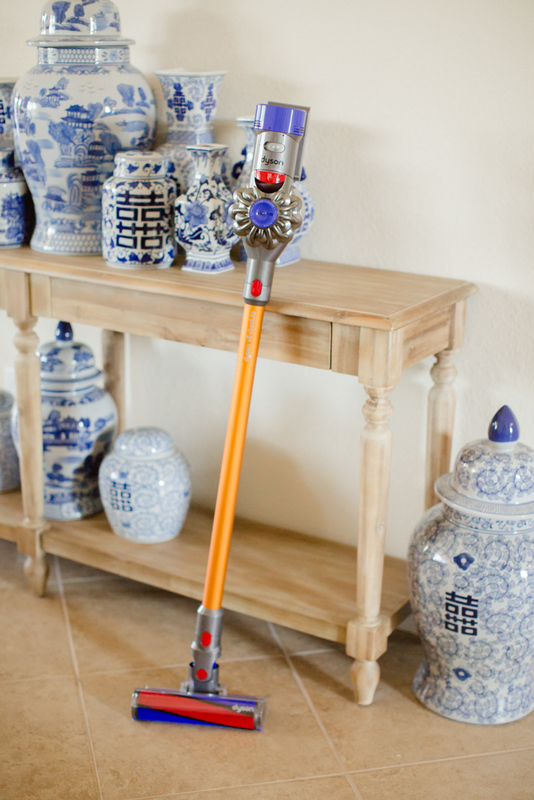 The online registry section is so easy for guests to navigate and to add things to your list. You can even have your guests send it right to your address which makes things so much easier for your guests and you! No running back and forth to other stores or giving your guests multiple sites! We had such a great experience for our in-store registry appointment! Our consultant was so great at letting us know what newlyweds need and what would be best! When we started going through everything we realized how much we were leaving out. 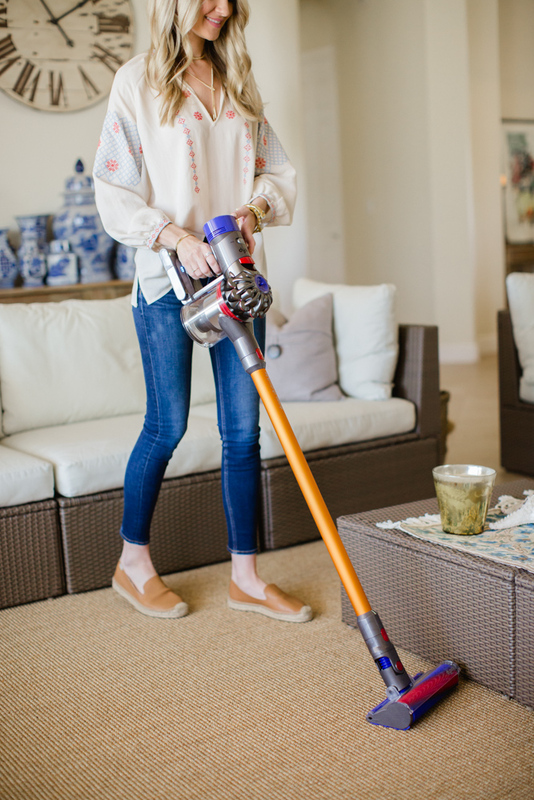 From quantities of items, kitchen essentials and even furniture – she was able to help us out so much! Bed Bath & Beyond also has a special event for you and your fiancé called ‘Rock Your Registry’. 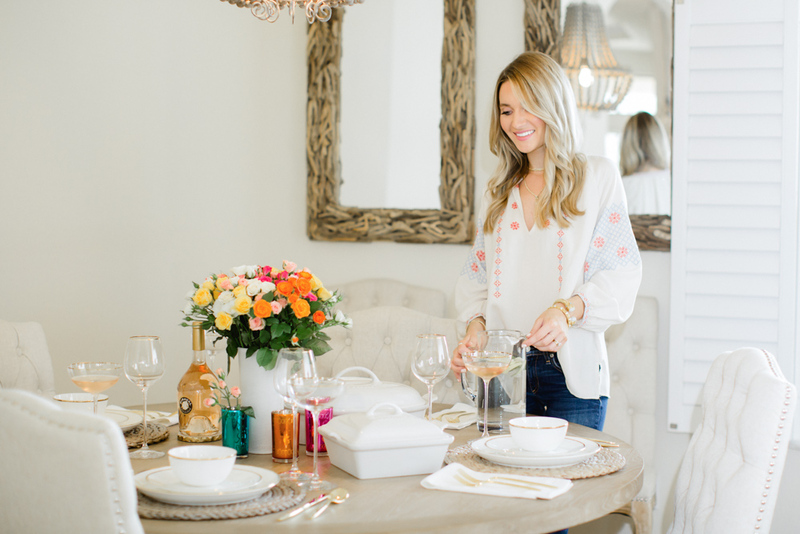 You can get helpful tips for entertaining, setting up your table along with light bites and a goodie bag! 1. Kitchen Aid Mixer. Fun fact: I actually worked in a bakery during high school and college! I love baking, and Armaan loves cooking. It works out perfectly, hah! 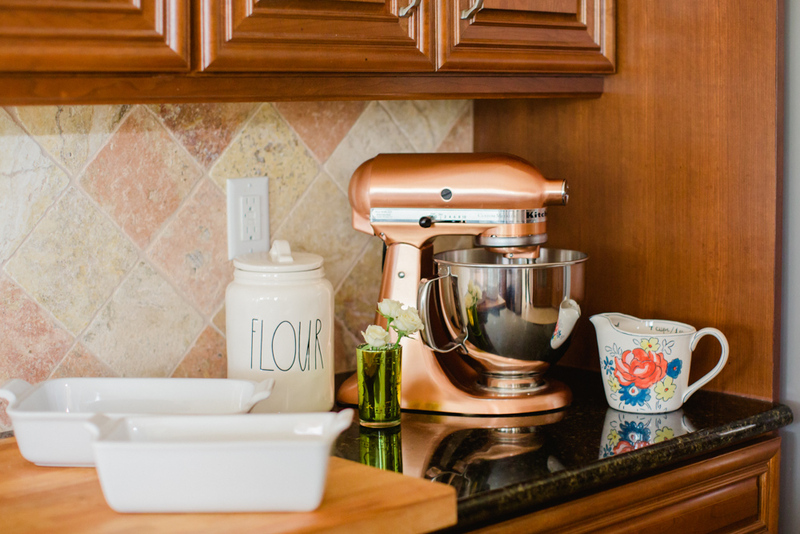 A good mixer was high on our list for our registry, and Kitchen Aid makes some of the best. They come in a ton of colors (this copper shade is swoon worthy! ), with so many options for attachments. We registered for the spiralizer and the ice cream maker – but there are so many more! 2. Keurig. 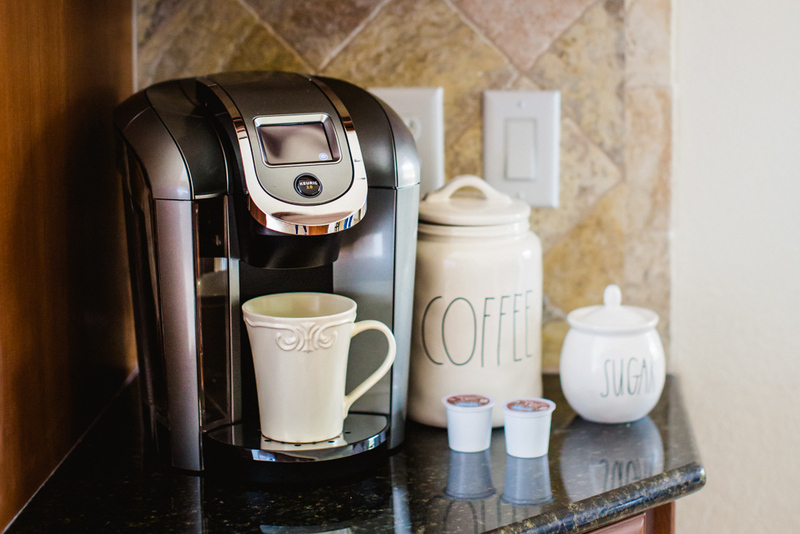 We were so excited to register for this specific Keurig because of all the great new functions it has. Make your usual cup of coffee in the morning, or instead, you can opt for making a large mug or even a carafe! We use ours for coffee, tea, iced beverages – you name it. 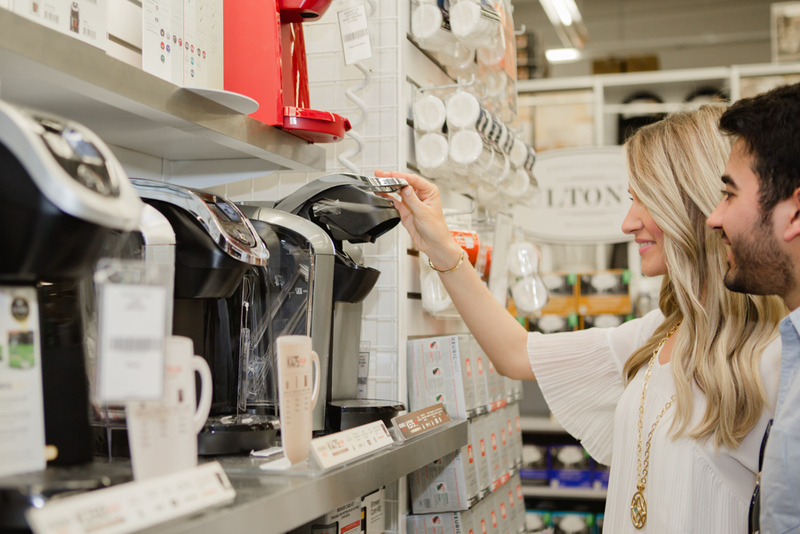 Plus, I always spend a ton of time in the k-cup/coffee section of Bed Bath & Beyond. They have the best flavors! 4. 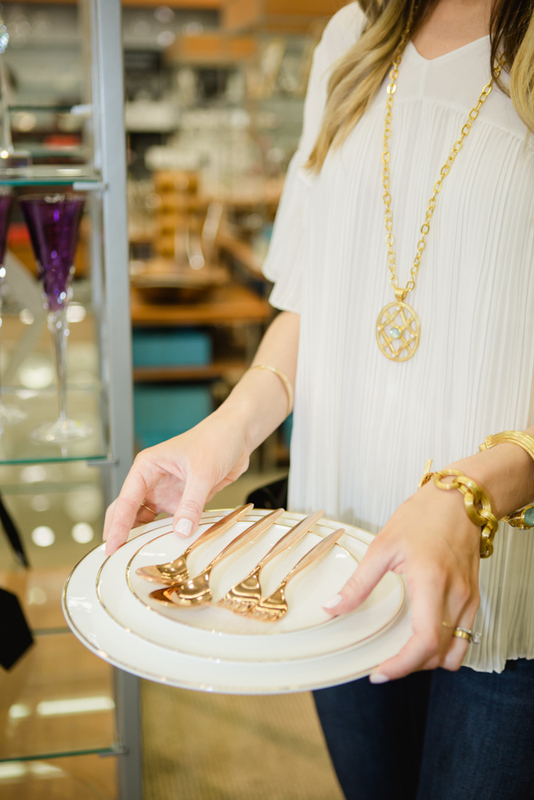 Olivia & Oliver Gold Organic Shape Gold 5-Piece Place Setting. This dish ware immediately caught both our eyes, and we knew we had to register for it. This set is a great option for holidays, entertaining or just a fancy dinner for two at home! The gold rim is so elegant and can be mixed and matched with other pieces. 5. Olivia & Oliver Madison 20-Piece Flatware Set in Gold. Don’t these just dress up a table?! If you or your future hubs are entertainers these will be sure to impress any guest at a dinner party. 6. Olivia & Oliver Gold Red Wine Glasses. These glasses are some of my favorites! I’ve seen them in countless decorating magazines, so I knew they would be a great choice for our registry. 7. Olivia & Oliver Gold Cocktail Glasses. How fun are these?! These have to be one of my favorites on our registry. They are great for craft cocktails, margaritas or even to put shrimp cocktail in for an appetizer! 8. Le Creuset 10-Piece Bakeware Set. These make bringing food to the table so much easier! The set comes with a ton of pieces in various sizes and is great for cooking and baking. What I love is that anything you bake in the oven (be it a pot roast, chicken, casserole, etc.) can go right on the table after. 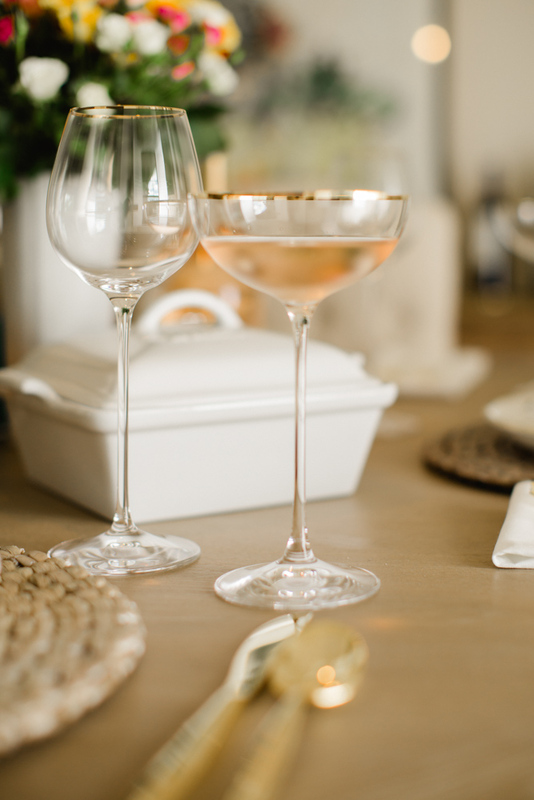 I recommend the white to go with any occasion and table! 9. Nambe Salad Bowl. I definitely recommend registering for a few Nambe pieces during your registry appointment! These pieces are gorgeous, but also totally affordable options for your guests. 10. Le Creuset Dutch Oven. I grew up watching my mom cook in these, so this was always something I knew I would have to add to my registry. 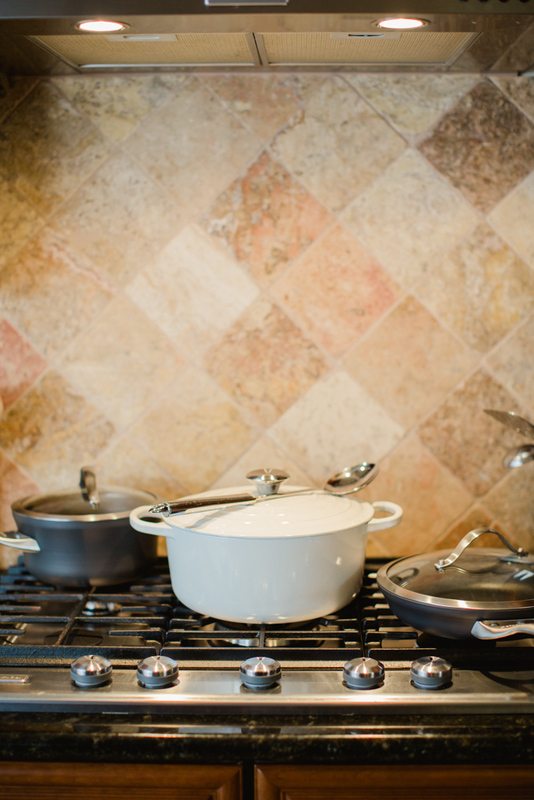 These dutch ovens are great for all types of cooking, and we use ours constantly! From white chicken chili, to soup, to mac and cheese it lives on our stove. What I also love about this brand is that the quality is outstanding, and they will last for years. 11. Calaphon Classic Nonstick Cookware Set. A kitchen essential worth investing in that will last for years! These nonstick pans make cooking (and cleaning) easy. Registering for sets ensures that you’ll be able to use them for almost any dish! 12. Blendtec Blender. Does so much more than make smoothies! Also doubles as a food processor. 13. Luigi Bormioli Beverage Glasses. 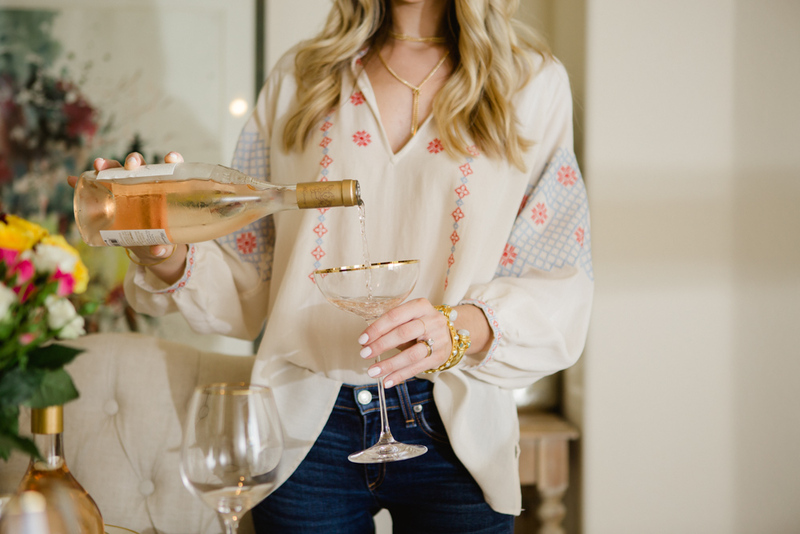 I have always read rave reviews about these glasses, and after seeing them in person and talking to our consultant – we knew they would have to be on the list. 14. The Seasons Collection 400-Thread-Count Year Round Down Comforter. A good comforter will last you for years, and this is one of the best! It has great fullness and is warm without becoming too hot. 15. Wamsutta Sheets. Our registry consultant sold us on these sheets. After touching them and comparing, I totally see why! These are an easy, affordable gift for your guests to bring and something that you can never have enough of. 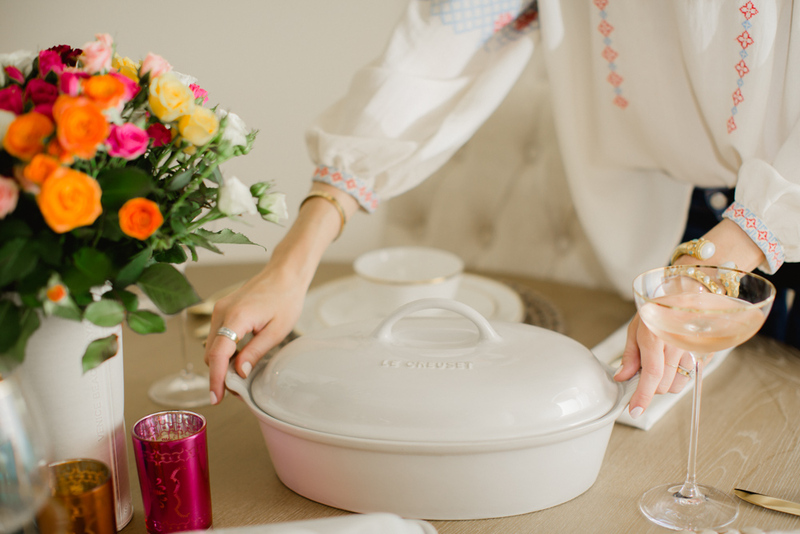 What are some must-have pieces that you had on your registry?! Thank you so much for reading gals! 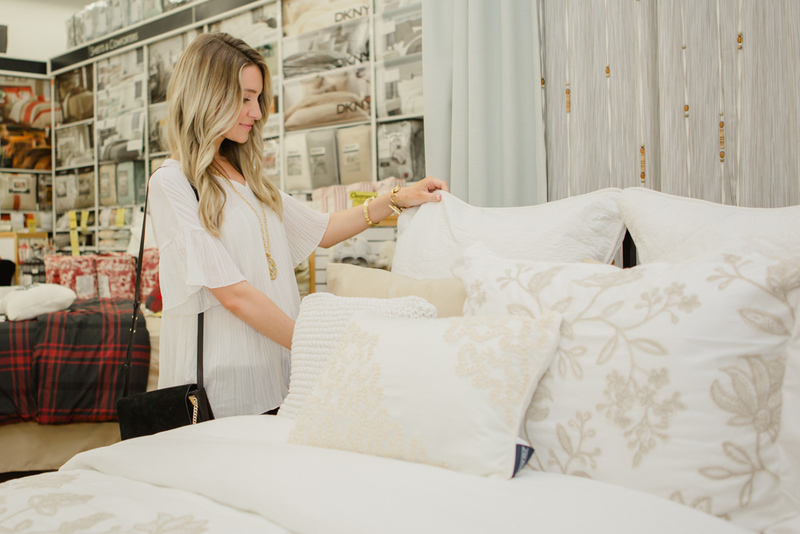 This post is in partnership with Bed Bath & Beyond, a company I love. All opinions are my own! I actually interned at Bed Bath and Beyond last summer. They truly do have everything you could possibly need. And I know for a fact how hard they try to give 110% to their bridal parties. Oh wow! That must have been such a wonderful experience! Honestly, we definitely felt that way in store. Half a dozen people must have come up to us to congratulate us! It was just too sweet. What an amazing post! 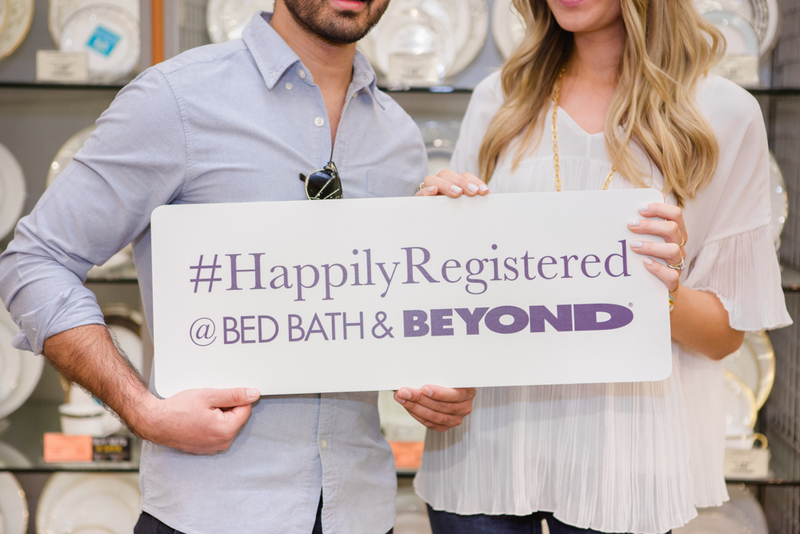 I never thought of bed bath and beyond for registering -only Macy’s and Crate and Barrel! Which is great because I have 2 bed bath and beyonds around me. What other kitchen supplies did you include? Any duvet covers and bedding? I absolutely LOVE your table/chairs/setting!!! I am in the process of moving and have been searching for dining room decor I like. Think I just might have found it! Thank you so much for sharing this!!! 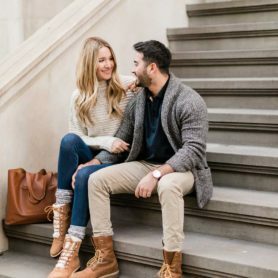 We just got engaged and it is so helpful! 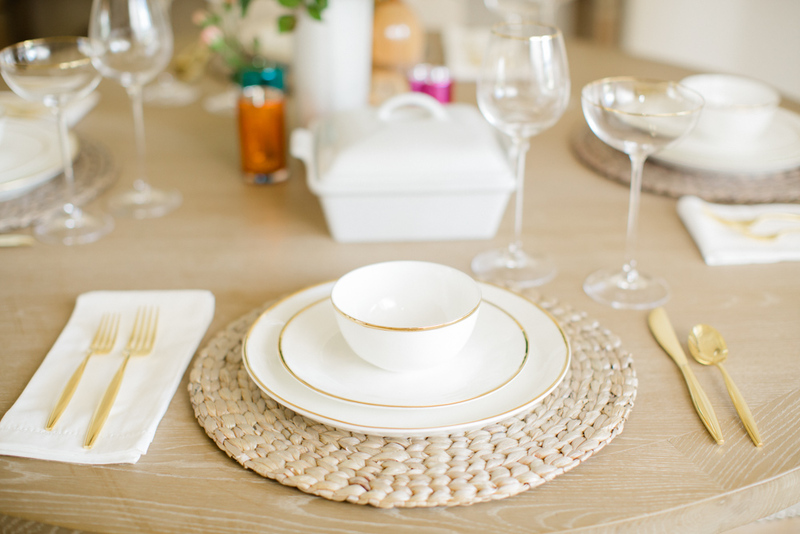 Do you have any suggestions in picking out casual dinnerware as well? Thank you! !